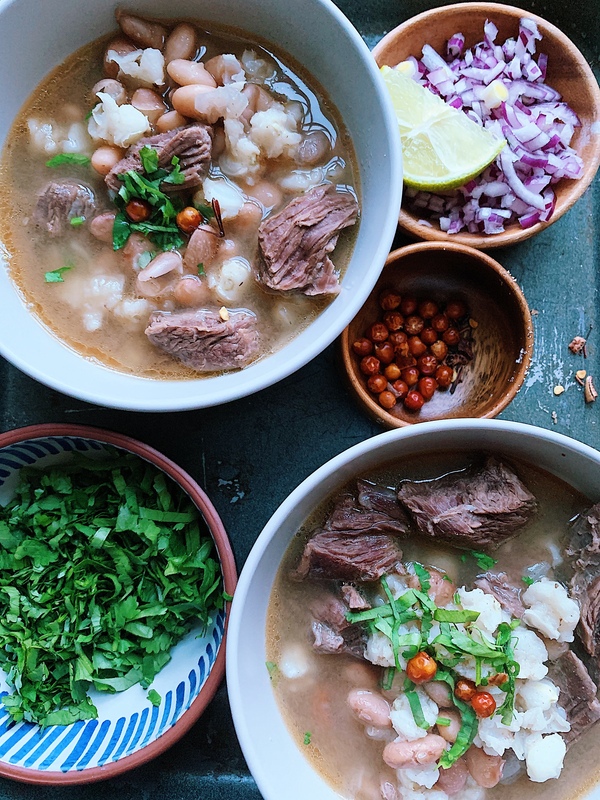 This is a traditional recipe from the state of Sonora in Mexico. Sonora is located in the north of Mexico, bordered by the states of Baja California, Chihuahua and Sinaloa. If we translate the name of this dish into English it would be, “spotted hen”, I know, it doesn’t make any sense, as the dish isn’t cook with hen, but apparently they call it like that because of the combination of colours between the beans and the maize. Put the beans to soak at least 2 hrs before cooking. Once they are soaked, they are ready to cook. First start cooking the beef with the bone marrow. Using a large casserole dish (dutch oven) add the meat and the bone, together with the onion, pepper, garlic, tomatoes and salt. Cook for 45 min. Then add the beans and cook them with the meat for 45 min or until almost soft. Check it needs more salt. 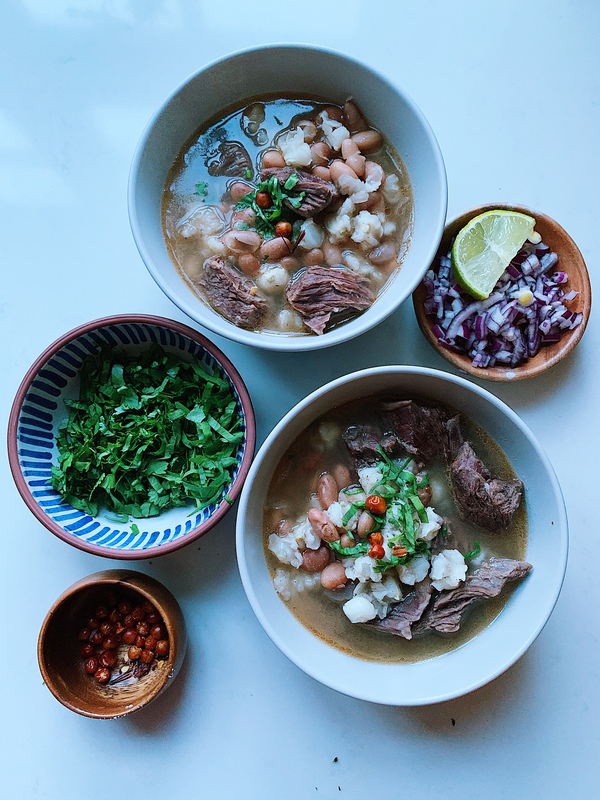 Wash the hominy and add it to the beans and beef. Cook the hominy for 20 min or until they are soft. (Optional step) Take the onion, garlic and tomato out and blend it with some of the broth and add it to the rest of the broth. Garnish with coriander, juice lime to taste, onion and spicy salsa or chillie flakes.